Chief of Staff for Homa Bay County Government Mr. Eliud Otieno and Economic Advisor in the office of the governor Mrs. Ruth Aloo are on the wanted list after the swindled about Ksh. 6 million out of a total of Ksh. 100 during Lake Region Economic Block Conference (LREB) in Bomet last month. 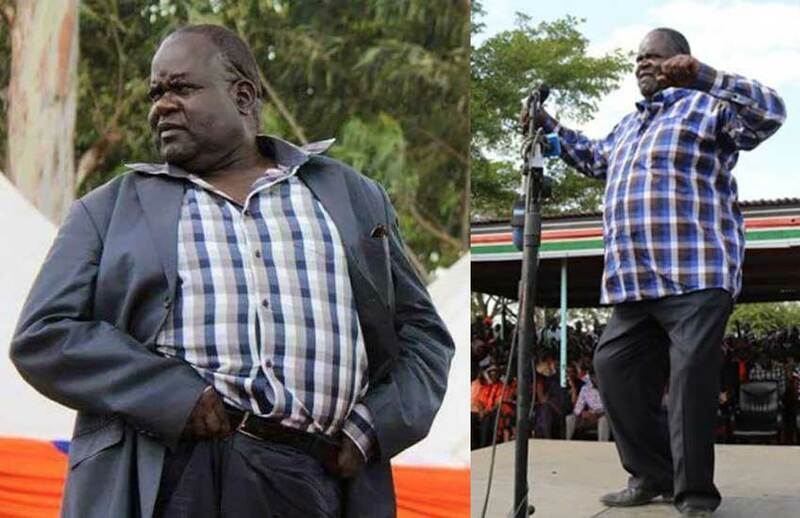 The duo who were in charge of the programmes, logistics and facilitations for the Homa Bay team on behalf of their cartel known as G- seven which comprises Maurice Aluoch and two others elbowed out Chief of Protocol John Apollo and Governor Cyprian Awiti’s personal assistant David Ajumbo on the preparations of logistics. Apollo and Ajumbo protested and walked out of the committee citing frustrations and high-handedness All drivers and other junior officers from other ministries not paid their paid per diems yet there was a provision for that factored in the budget. Instead, Eliud on behalf of his cartel told the officers to their amazement that they were to be paid after the LREB Conference back in the County through their re-current expenditure by respective departments yet they underwent frustrations as some borrowed money for upkeep for the five day conference hoping to repay from their per diems. The G-seven factored in five days allowances for themselves while gave others four days which they never paid at all except County ministers and chief officers some of whom never attended the Bomet Conference but received cash. The entire assembly which had 63 people in the list including Speaker received well over Ksh. 3 million as allowances yet only a handful (not more than ten MCAs and three staff members) attended. County minister for Youth, Sports Tourism Roseline Odhiambo went berserk and attacked Eliud physically in Bomet car park in the presence of a charged governor secretary Maren Ager whom has been having bad blood between her and Eliud after the latter was appointed Chief of Staff and through his drooping greed for money and food altogether has grabbed the powers to spend miscellaneous funds cheered. County Executive Member in charge of Agriculture, Aguko Juma was irked by Eliud’s conduct and almost engaged him in a fist-fight in Bomet as they engaged in a bitter exchange of words. Money meant for 200 T-shirts were pocketed by Mrs. Aloo after she produced only 20 such T-shirts. Mrs. Aloo whose background in economics remains a mystery was to erect four booths at the Homa Bay stand but only two were erected, the other two pocketed. Media relations had an allocation of Ksh. 100,000, but all these was nowhere as there was nothing media related that was executed at LREB for Homa Bay County. Issues of swindling money in the office of the governor has been a long standing episode strengthened by the de facto governor who has been dictating how the county government funds are spent since 2013. The dreaded de facto governor who at times is revered even by dejure governor for ‘’funding’’ county government activities with his ‘’personal’’ money makes every county official including the County Executive Member in charge of Finance trembles whenever he makes any remarks on money matters as all officers in the finance take every comma, question mark, word and sentences from him as command. The Bomet Conference just like other opportunities, provided a fodder for Homa Bay cartels who are known for either creating or taking advantage of anything and everything anywhere to rake in cash for personal gain. This is a county whose received Ksh. 33 billion save for salaries have nothing to show for it except magnificent property and lavish lifestyles exhibited by the defacto governor and his lieutenants. With the loss of billions of shillings in the county treasury, head of treasury Nicholas Koriko who is currently sweating profusely under the spotlight of the sleuths has decided to disown his colleagues and be state witness. A source from Ethics and Anti-Corruption Commission (EACC) confirmed that Koriko who has taken about turn to save himself from the hammer of asset recovery and criminal prosecution on abuse of office, looting, incompetence and diversion of public funds, unit by offering to be a state witness as prosecution of top cartels who own multi-billion assets loom large has been seen in the corridors and various top hotels in Nairobi meeting unidentified EACC officials and brokers to save himself from the hangman’s noose. Another cartel, Isaiah Ogwe is also reported to be making frantic effort to save himself from the same charges which include accumulation of wealth like all government parcels of land at the shore of Lake Victoria in Homa Bay is always seen between Six Eighty Hotel and Laico Regency trying to make ends meet.